Another fantastic introduction from Terra Nova. 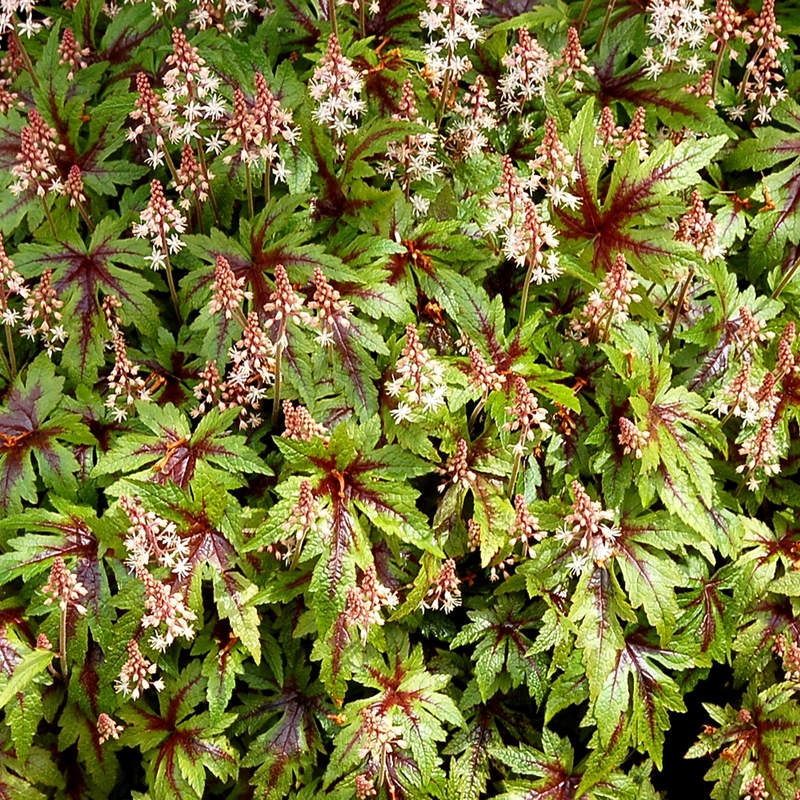 Tiarella 'Sugar & Spice' has been called "the best" by the plant professionals. It is a strong grower and a very attractive plant. 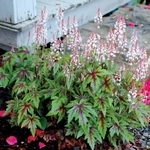 The lightly scented, star-shaped, pink flowers appear over a mound of glossy, deeply dissected, dark centered leaves. 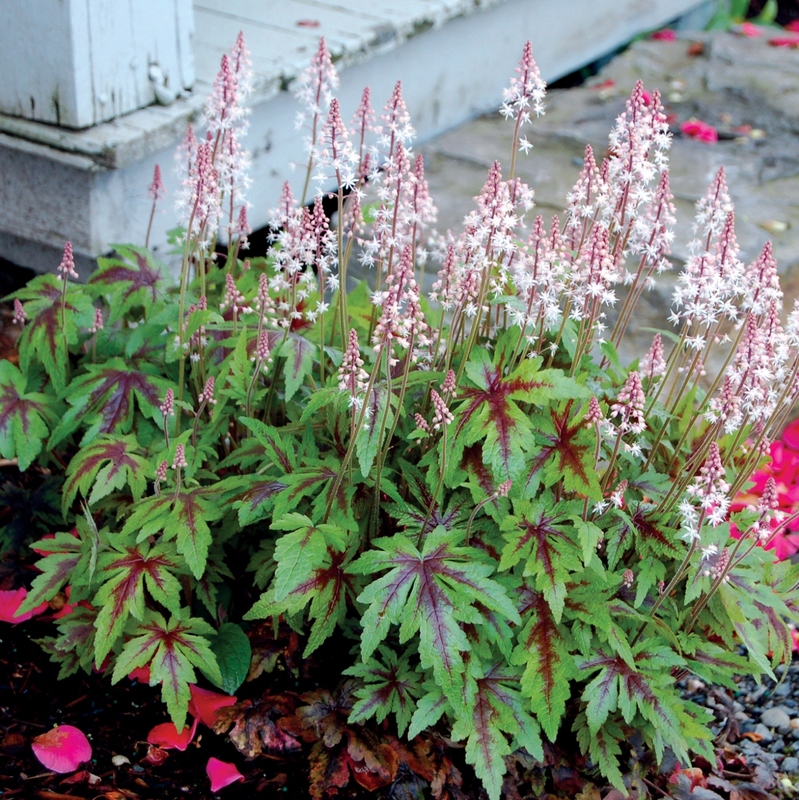 A great companion plant to hostas, ferns, heuchera and other shade tolerant perennials. Foamy flowers. PP#16738. MATURE HEIGHT: Foliage 8". In bloom 13".